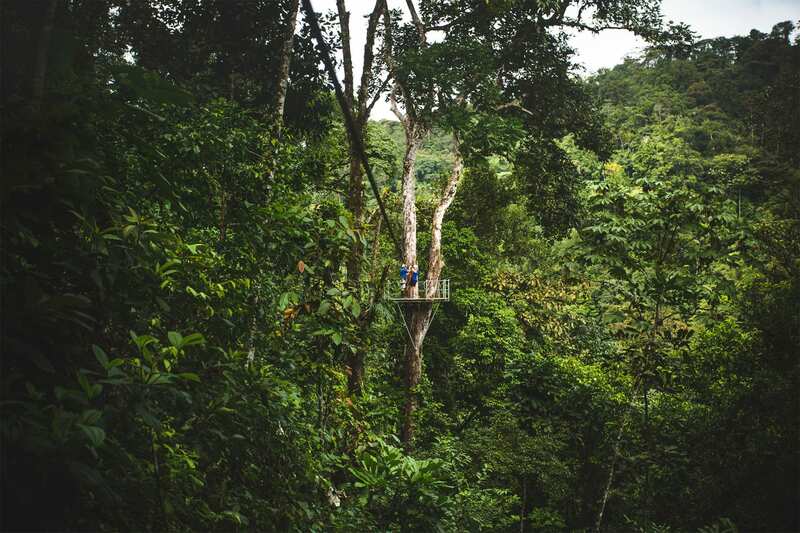 This 8 day adventure takes you to the Caribbean town of Tortuguero, one of the areas with the greatest biological diversity of the country, to an amazing EcoLodge tucked deep into the Rainforest only accessible by raft. ​*This package trip requires a minimum of 2 people. Trip Extensions available on request. Today, we will pick you up at your hotel lobby to take you to the Caribbean side of Costa Rica, you will travel to Tortuguero! Afternoon visit Tortuguero town. Located in the extreme northeast of Costa Rica, Tortuguero is accessible only by small plane or boat, along the famous Tortuguero Canals. This system of rivers and man-made channels parallels the coast and cuts through beautiful primary forest. The area was turned into a national park in 1975. It is one of the areas with the greatest biological diversity of the country. The name Tortuguero relates to the Spanish word for turtle as this is the most important nesting site in the entire western half of the Caribbean for the green turtle. Other species of sea turtles like the leatherback and hawksbill also nest on the wide beaches of the park and refuge where most exploring is done by small boat, although some hiking trails are available. There is a small village and a good offer of hotels and tours to fully enjoy this wondrous place. 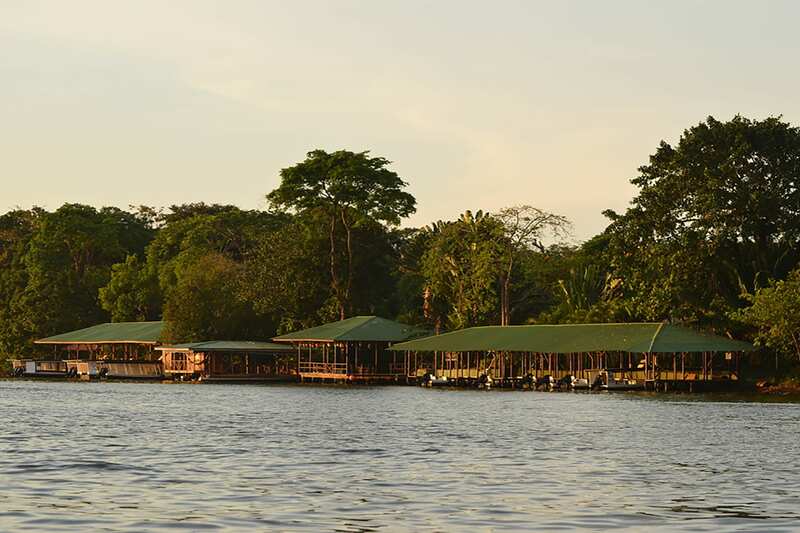 Mawamba Lodge is situated on the Northeastern Caribbean Coast on a sand bar between the incredible Tortuguero Canals and the Atlantic Ocean. The lodge is set in a 15-acre site which offers comfort and relaxation as well as incomparable opportunities to observe wildlife. Standard and superior rooms; all have garden view, ceiling fan, and private bathrooms. Superior rooms are independent bungalows, more spacious, with separate tub and shower and nice views of the canals. 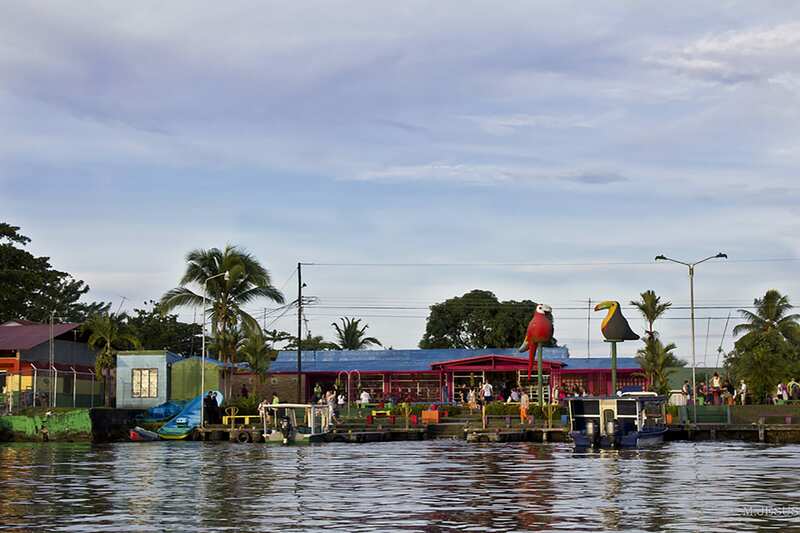 The Katonga restaurant offers delectable local dishes, it is a floating culinary adventure that allows enjoying the sunset; while touring the canals or admires the Tortuguero night from the boat while dinning and swaying to the Caribbean cadence. The pool area invites to lounge and relax. Private nature trails, open sky butterfly garden, direct access to the beach, hammocks, bar, and gift shop plus interesting tours of the navigable network of canals and lake. This tropical sanctuary for more than 300 different species of birds and the amazing array of wildlife including monkeys, sloths, crocodiles and iguanas encompasses a true paradise. Today you will enjoy a full day in Tortuguero visiting Tortuguero Canals and Tortuguero grounds with your Naturalist guide. 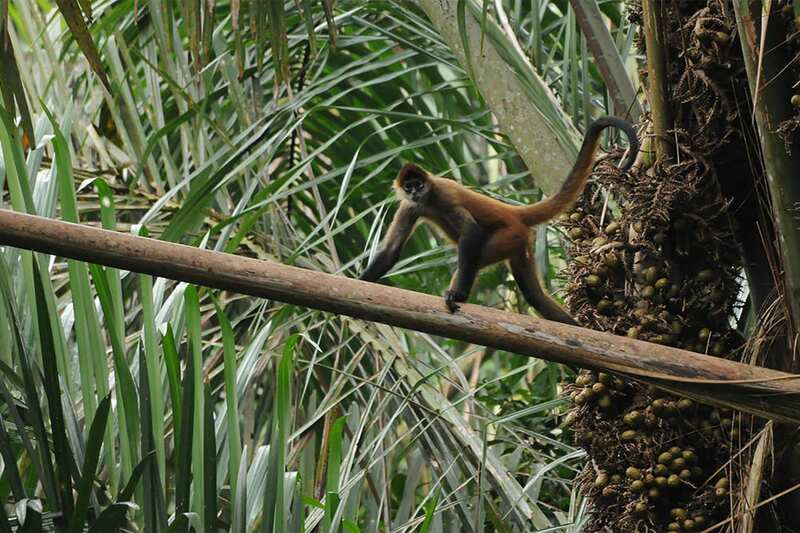 Tortuguero National Park is a wilderness area with extraordinary biological variety. Diverse mammals, birds and fish live in eleven different defined habitats. Strong Caribbean currents have provided a straight 22 mile expanse of beach which is a favored nesting ground for sea turtles like the Hawksbill and loggerheads that nest from July through October. The Leatherback, the largest sea turtle of the world, nests from February to July. Most exploring of the park is done by boat. Guides with an amazingly trained eye astound visitors finding wildlife in veiled corners, pointing at mischievous monkeys and sharing fascinating facts about nature. Today you will leave Tortuguero to head towards Pacuare River. You will be leaving Tortuguero by boat to Guapiles and in Guapiles our representative will pick you up to take you to Pacuare river put in where you will raft class III and III rapids until you get to Rios Tropicales Lodge. This is a genuine “Eco-Lodge,” deep in the rainforest, immerse in beautiful tropical gardens. 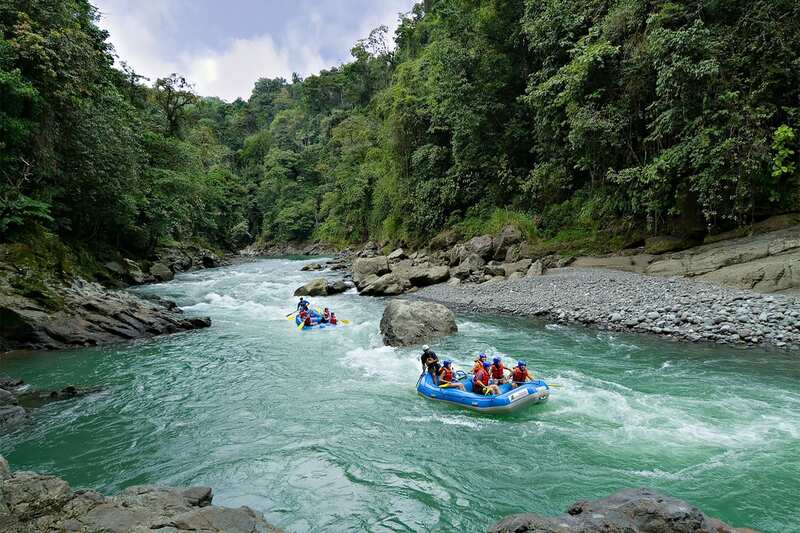 Access to the lodge is via rafting on the Pacuare River, or hiking in along a trail. 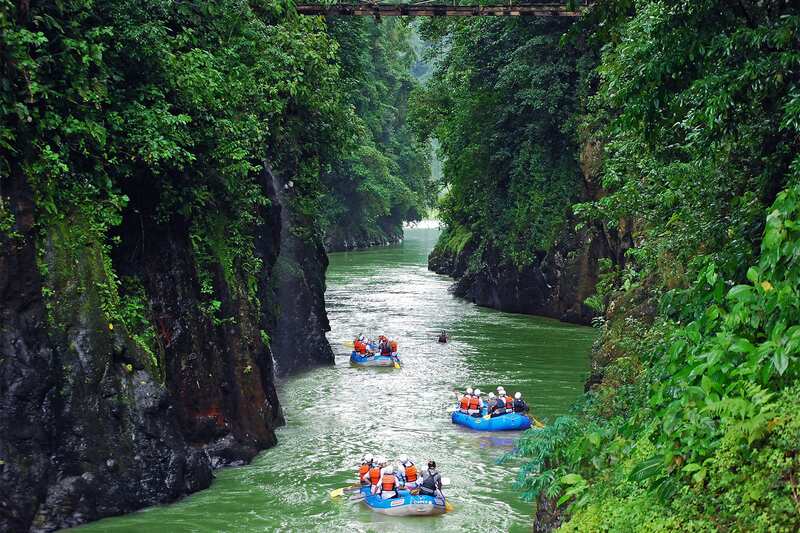 It is located on a private reserve at the mouth of the Pacuare Gorge, bordering with the Cabecar Indian Reserve and with more than 40 miles of hiking trails and numerous waterfalls, streams, and pools. rooms overlooking the river to rustic bunkhouses set back on the hillside, with private bathrooms, hot showers, hydro-generated electricity for a clean sustainable energy source and decks for scenic views of the opulent nature and wildlife. Great meals, naturalist tours, hiking, waterfalls with pools to soak in, awesome zip line in the rainforest canopy, horseback riding, sustainable development and Tilapia farming tours, and tree- planting are part of their offer. Availability of certain activities depends on the length of the stay at the Lodge. Cabecar Hike: The Talamanca Mountains are host to the Cabecar Indians, the largest indigenous group in Costa Rica, and one that retains many of its traditional customs and beliefs. In contrast to many other indigenous groups, the Cabecar do not live in villages, but prefer small family units scattered throughout this isolated region that includes the Pacuare zone. The Zutkia, or shaman, plays a multifaceted role in Cabecar culture as priest, magician, metaphysicianorhealer. From the Lodge it is possible to visit an isolated family group to learn about their way of life, as well as enjoying the alluring tropical rainforest. The experience to walk to this family clan is a challenge due to the difficult conditions of the trails; nevertheless, the trail offers a wonderful opportunity to discover many secrets of the forest, interact with the ecosystem, and hike the same trails the Cabecar Indians have for centuries. After visiting with a nearby Cabecar family, we will begin our trek back down to the lodge. *As an indigenous people with little contact with the outside world, the Cabecar can sometimes be shy and reclusive; this will influence the amount of time and contact visitors will have with their family. They advise the guests to request permission from the guide before taking photographs of any Cabecar people. The Cabecar are very zealous of their customs and way of life and do not like to be photographed, and they strongly respect this wish. Afternoon at leisure to relax and explore the area on your own. Enjoy a morning Canyoning tour. 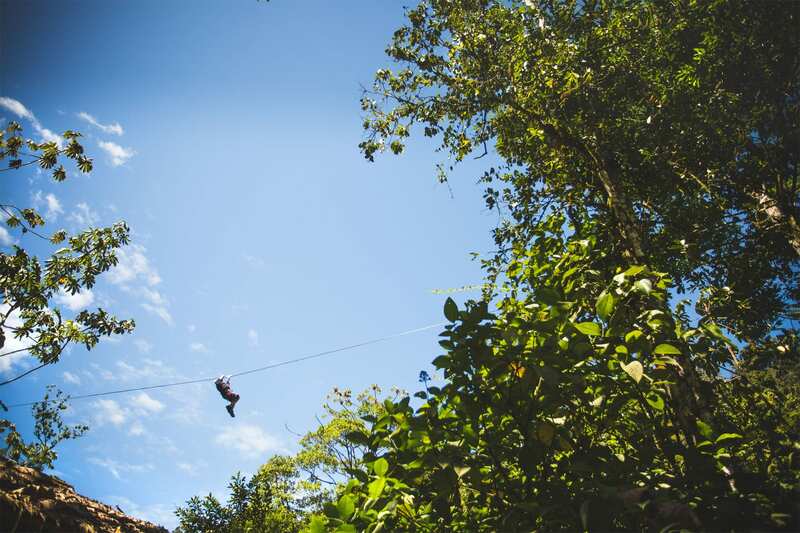 This tour includes hiking through the rainforest, rappelling down the face of a waterfall and then three ziplines high over the river. 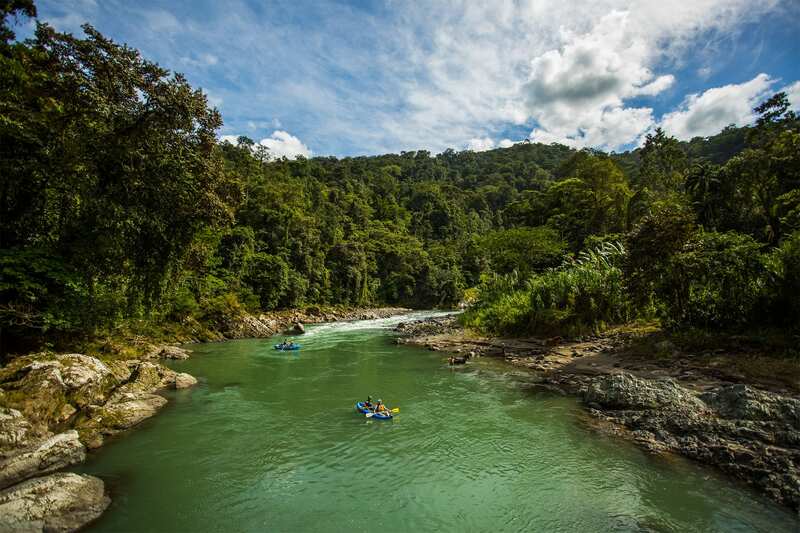 You start right from the Rios Tropicales lodge and head into the Pacuare River Gorge, views of the river and a hike to the base of Wake-Up Falls. Once at the foot of this Pacuare landmark, a 200- foot hike leads you to the safety platform. 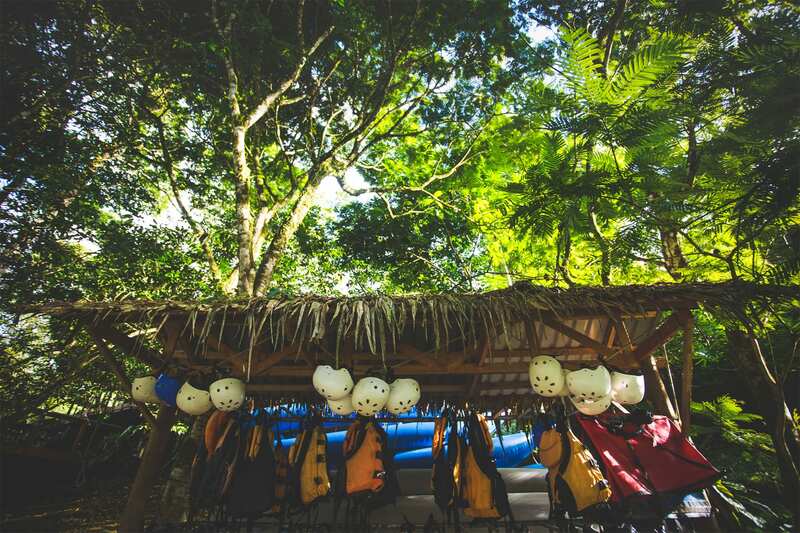 Here Rios Tropicales guides will fit you with professional climbing equipment and provide a safety orientation for this canyoning adventure. ​You will rappel for 60 meters down the face of the waterfall in two different sections, the last of which is inside the waterfall! Be ready to be very wet. From here, you can zip high over the river with a bird’s-eye view of Wake-Up Falls, Terciopelo Creek and the Pacuare Gorge. One more zipline takes you over the river again, upstream toward the trail leading back to the Lodge. ​Afternoon at leisure to relax and explore the area on your own. 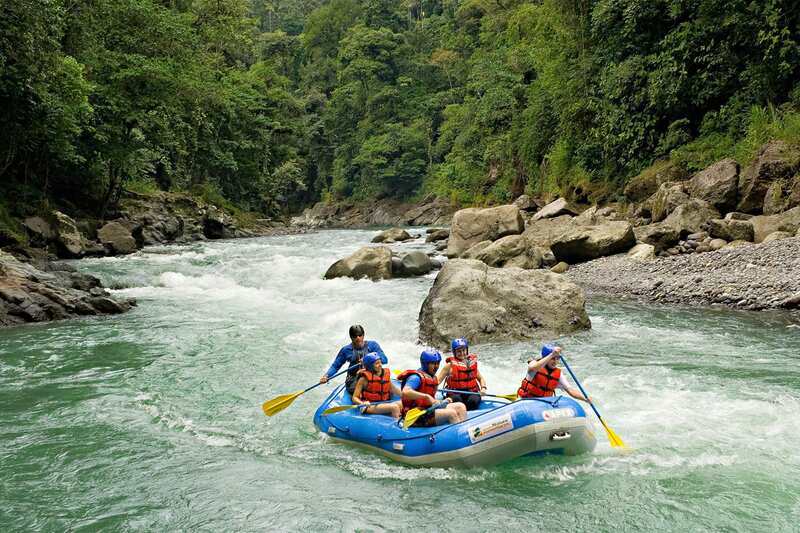 Raft the Pacuare river in class III and IV rapids, an adventure you will never forget. Enjoy the beuty of the Pacuare River. We will provide you with a land transfer from Pacuare river put out to San Jose for you to spend your last night in Costa Rica. We will meet you at the hotel lobby to provide you with a transfer to Juan Santamaria International Airport for you to take your flight back home or to your next destination. Early morning pick up to take you to Costa Rica`s Central Pacific, to Manuel Antonio area. Traveling from San José to Manuel Antonio National Park is a pleasant drive on Highway 27. As the Central Valley is left behind, the passage through the mountains fills the senses with relaxing ease. The road goes west towards the agricultural town of Orotina, where road vendors tempt travelers with colorful mangoes and fresh watermelons. From there, the Costanera Sur leads into Jaco and gorgeous strips of beach and jungle announce the upcoming town of Quepos, arriving shortly after at beautiful Manuel Antonio. Traveling south bound through the stunning Central Pacific, the small agricultural town of Quepos welcomes visitors and a tree lined, cliff top road leads to Manuel Antonio offering glimpses of spectacular forest and beach. This renowned touristic town sits up in the hills overlooking the vibrant Pacific Ocean framed by green, luscious vegetation. habitats, including primary and secondary forest, mangroves, beach vegetation and marine resources. There is no development inside the park but along the main road across Manuel Antonio, there are dozens of hotels surrounded by tropical gardens, and a variety of dining and recreation options, the wharf and modern marina serve as a departure point for sport-fishing and memorable boat trips. Perched high above the scenic Pacific coastline surrounded by verdant rainforest teeming with wildlife, Parador is situated in a tranquil area, which was once inhabited by the fabled Quepoa Indians. Adjacent to the peaceful cove of Playa Biesanz, this resort is blissfully isolated, but just minutes from the famed Manuel Antonio National Park and touristic attractions in the area. Excellent accommodations offer ocean, jungle or garden views and all of the amenities today’s travelers expect, plus golf cart service for guests, concierge, laundry facilities and room service. Four ocean-view restaurants offering international and local cuisine set on gorgeous tropical ambiance and impeccable service. Two beautifully appointed private dining rooms are ideal settings for romantic evenings or a small private party. For those who prefer the convenience and privacy of in-room dining, room service is available from 11:00 a.m. to 11:00 p.m.
Nice walks on the beach, swimming, luxurious treatments at the spa, fun adrenaline filled tours or just relaxing by the pool, give guests a lavish, memorable stay. Please inquire for extension pricing.